Statistics have shown that about 2 million plastic bottles are bought every 5 minutes all over the world. Moreover, 1 million plastic cups are used in airline flights in the USA every six hours. According to these numbers, plastic turns out to be the most consumed product in the world. Nevertheless, what people do not know is that constant use of plastics is harmful and is slowly killing people. For years it has been thought that bottled water is much healthier than tap water because it contains vitamins and mineral. In fact, this is just a tap water that is placed in a bottle which is an environmentally unfriendly process of hydration. Moreover, plastic bottles and glasses are dangerous to human health. Tip: before using this product check the bottom of the packaging and look for a symbol. There is a triangle symbol with a number at the bottom of the plastic bottle. According to this symbol you will be able to decide whether the plastic you hold is safe for use. This kind of bottle is also known as PET or PETE, which means that it should be used only once. Reusing this kind of bottles will expose you to a chemical substance called EPA. Also, there is a possibility for emission of antimony which is a harmful heavy metal that interferes with the hormones in the body. Moreover, there is a chance that the plastic has carcinogenic effects. This bottle is known as HDPE or HDP, which is considered as a safe plastic. This plastic does not have as much emission as the other types of chemicals used in other bottles when in contact with water. PVC is the most used type of plastic. It has two toxic chemicals that can interfere with the hormones in the body. 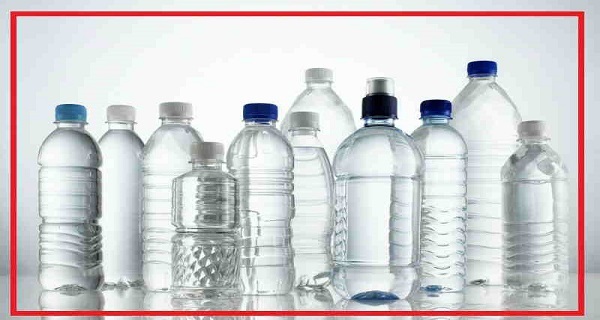 Also known as LDPE, these plastics do not emit chemicals when used in water bottles. But, most of them are present in plastic bags. Number 5 or PP plastics are also safe for use. White color is their common sign or they can be transparent. PP plastics are commonly found on cups of yogurt and syrup bottles. These plastics emit a carcinogenic compound STIREN, which is used in used in packaging as well as in coffee cups. PC are plastics with no labels. You should avoid using plastics without labels because they emit a very dangerous chemical BPA. However, PC plastics are widely used in various food containers, sports drink bottles, and even in infant bottles. In conclusion, if your bottle has the sign 2, 4, or 5, it is safe to use. But, you should avoid plastics labeled with 1.3, 6, or 7 in order to prevent exposure to harmful chemicals that these plastics emit.